You may have heard of the Bay of Fundy, which is famous for the extreme tide change. 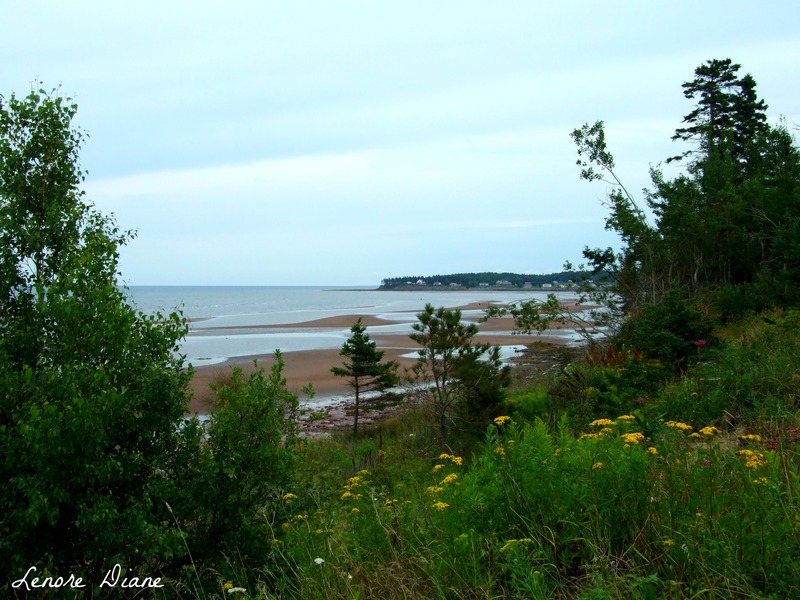 Amherst Shore is not located along the shoreline of the Bay of Fundy, but the tides of the Northumberland Strait, where Amherst Shore is located, are still impressive. When this picture was taken, the tide was still heading out. Thank you. The fact that the area is lovely makes the picture taking easy. Thank you, Christine. It is gorgeous here. Truly. We were just there about a month ago — Annapolis Royal and Tatamagouche. I hope you’re having a great time, Lenore. Charles, my Mom visits Tatamagouche several times while here. And, she returns home with several pounds of Tatamagouche butter. There is no better butter. What an interesting photo. More beach!